There are various reasons why you may choose not to sell your home through an estate agent, but instead to a home cash buyer like Dream House Buyer. The property may be difficult to sell on the open market because of reasons such as a short lease, or it may be dilapidated. There may be legal problems, or difficult neighbors who could affect the home's value. Structural problems, boundary disputes and/or the presence of sitting tenants in the property may also be cited. Subsidence and other structural issues can be alarming to discover in a period home or other older property. The problem may deteriorate to the point that you decide to find a quick buyer for your property, but you can avoid this by identifying and repairing issues in good time. Keep an eye out for missing roof tiles, out of control trees and shrubs, leaking rainwater goods and cracked drains, as leaving them unaddressed can lead to structural problems in your property. The team at Dream House Buyer receives many enquiries from those looking to sell a flat with sitting tenants who have been an inconvenience in one way or another - such as by incurring significant rental arrears. However, a tenant can be successfully evicted as long as the correct procedures are followed in accordance with the specific type of tenancy involved. You might have gone to every effort to avoid it, but sooner or later, whether because of the expiry of the tenancy or heavy rent arrears being incurred, you may wish to evict your tenant. However, there are certain steps that you will need to take to accomplish this legally and successfully, and so that you do not need to sell your property with a tenant still in residence. Dream House Buyer receives many enquiries from those who are struggling to sell leasehold flats on the open market, due to the leases of less than 75 years that make them unattractive to many prospective buyers. Those looking to sell a flat with a short lease can receive a cash offer for their property from Dream House Buyer, irrespective of the length of the lease. It really does pay - if you want to avoid having to sell your rental house - to check your property regularly. This is especially the case amid the current popularity of longer-term tenancies that, while giving tenants security, do increase the risk for landlords of a stressful and time-consuming dispute at a later stage of the tenancy. As a landlord, there are many things that may prompt you to sell a house with a tenant - and one of them may be difficulties in ensuring the highest level of electrical safety. It should absolutely go without saying that your tenants need to have use of electrical wiring circuits, switches and sockets that are adequate, in good working order and safe. One common reason for people opting to sell a problem property to a home cash buyer like Dream House Buyer is an inability to afford its renovation, particularly if it is old or highly dilapidated. Financing a property renovation often means having to borrow money. However, a mortgage is only obtainable from many high street lenders if the property is already considered habitable - which isn't the case for many renovation projects. Some landlords sell their buy to let house to a home cash buyer like Dream House Buyer because they just don't have the time and money to keep it in basic tenantable condition. Those minimum requirements include keeping the property wind and watertight and ensuring the good repair and working order of everything from basins, sinks, toilets and baths to the home's water heating and space heating installations. The Dream House Buyer team receives a lot of enquiries from those looking to sell a house with a problem that may be preventing it from attracting a buyer on the open market. One issue is when a property has been empty for a while, as it can then be a magnet for vandalism and become progressively dilapidated, making it so much harder to market. You might have imagined that a landlord is chiefly responsible for the maintenance and repair of their own property. But it's important to make yourself aware of your exact responsibilities, as you don't want to have to sell your rental house due to lack of time and money to carry out essential work. It may have crossed your mind to sell your rental house to a property cash buyer like Dream House Buyer after persistent trouble with tenants. However, are you familiar with your own obligations towards your tenant? Although the exact rules and procedures depend on the type of tenancy, certain basic rules always apply. Abide by these, and you should have a much better relationship with your tenant. Persistent problem tenants can be a big reason for a landlord deciding to sell a tenanted property, so you should take care to choose the best possible tenant, every time. Checking references - not merely collecting them - is vital. Simply by taking a few minutes to phone an employer or other referee, you can confirm that your tenant is decent, reliable and unlikely to fall into arrears. Hardly any document has more importance to a landlord than the tenancy agreement. As the document outlining the terms of any arrangement with a tenant, the tenancy agreement has major implications. A failure to understand them is a frequent cause of a landlord needing to sell a rental house to a cash buyer of property like Dream House Buyer. Many of those taking advantage of Dream House Buyer's quick and fuss-free cash property buyer service previously asked themselves "How can I sell my property with a tenant in?" You might have asked yourself the same following some troublesome tenants, but one thing you definitely shouldn't do is illegally evict a tenant - which is a criminal offence. Often, leaseholders don't fully realise the implications of their property having a short lease until they come to put it on the market. It's also customary for estate agents with such a flat on their books to underplay the consequences of a shorter lease, with common wordings in advertisements including 'TBC' and 'to be sold with a new lease'. If any further evidence was needed of why so many landlords decide to sell a house with a tenant to a dedicated home cash buyer like Dream House Buyer, it certainly came in a recent Blackpool Gazette report. If you ever decide to sell a tenanted property, you don't want it to be due to problem tenants. However, with the number of people renting properties 40% higher now than in 2006, the scope for this has only increased. Troublesome tenants may cause you to get on the phone to a cash buyer of property, but prevention is always better than cure. As well-known cash buyers of property, Dream House Buyer caters for a wide range of requirements among those wishing to sell their house quickly. For some, problem properties are the specific issue, while others may be looking to sell their ground rents. You may be especially convinced to sell a house with sitting tenants if your property is damaged and neglected by the tenant. Although rental properties frequently sustain damage, it is often minor and accidental, with the landlord paying for the cost of repairs to minimise hassle. Are you facing repossession and wondering "how can I sell my property quickly?" If so, you could be one of many homeowners that we have served in similar circumstances here at Dream House Buyer, guaranteeing a cash offer for your home so that it is no longer a burden. Dream House Buyer can give even those who have very recently bought a home a guaranteed cash offer, although there are other ways of solving the many problems that can arise when buying or selling. You are able to claim possession of the property if the tenant's arrears are two months or more, while another option is to simply sell your property fast to a home cash buyer like Dream House Buyer. Although the housing market has been looking a little better in several regions during recent times, there are still many 'accidental landlords' - people who have been forced into renting out their properties due to being unable to sell. Have you been left a house or flat by a deceased relative or friend? In normal circumstances, you might simply sell the property in the usual way, to quickly release cash for you and any other heirs. However, if the property is in poor condition, a quick house sale can be difficult to achieve. Find out how you can achieve the optimum price for your tenanted property with a quick, no fuss cash sale. Although there are many reasons why you may attempt to sell a house with sitting tenants, a contributory factor can undoubtedly be tenant disputes. Indeed, more than a fifth - 22 per cent - of landlords have had a dispute with a tenant, according to AA Home Membership research. There are all manner of anti-social problems that can make your local community hellish to live in, to the point where you may contemplate a quick house sale to a cash buyer of property like Dream House Buyer. One reason why so many ordinary property owners want to sell a house quick is so that they can avoid the repossession of their property. You might have managed to pay your bills for a while, only for a sudden event to leave you deluged with debt and unable to cope. Selling your property through a sales agent won't be an option if the house needs to be sold right now, not several months down the line with no guarantee and this could force the banks to repossess unless they are satisfied that the borrower has a clear exit strategy in place. You might want to sell your house fast for any number of reasons, but you might be struggling to find a buyer. Perhaps there isn't a strong market for your type of property, or maybe there are obvious problems, like structural problems or a tenant in arrears with the rent. Is there anything that you can do instead? For evidence of how difficult it can seemingly be to sell a problem property for a good price on the open market, one only needs to look to the well-publicised instances in recent years of local councils practically giving away such houses in rundown areas. Those with dilapidated properties, in particular, may feel any sale to be impossible unless you know how to secure a cash buyer with a particular interest in purchasing property with problems. If you wish to sell a tenanted property, it may be a regulated tenancy that is causing you anxiety. Such tenancies are what people are generally referring to when they speak of 'sitting tenants’: Those who are legally entitled to live in a property for their lifetime or such time as they choose to move out. These types of tenants pay a regulated "fair rent" on their home, and have long-term security from eviction so long as they keep the rent up to date. Moreover, this type of regulated tenancy can be passed to a spouse or partner - known as a succession. Houses and Flats Urgently Wanted If you are a property owners and want a straightforward cash sale, then we can help you achieve this. Property can be difficult to sell at the right price in the required timescale which is why many home owners choose a house buying company such as Dreamhousebuyer. As a leaseholder, a short lease is a potentially critical threat to your chances to selling your property. It's a problem that could affect over a million property owners in England and Wales. Ownership of a leasehold flat effectively means that you are granted a long lease from the freeholder. This means that you own the right to live there by definition of your lease, and the demise of your flat, however not the absolute ownership of the land or building as usually the building will contain various flats also on leases. Scotland and Northern Ireland have different leasehold laws. There is a wide range of issues that can give rise to a boundary dispute between neighbours, from the ownership of a fence or the thickness of a hedge to driveways, party walls and shared drainage. If you are in disagreement with your neighbour about your property boundaries, is there an alternative to the fast sale of the property? Cash offers for any property in England and Wales even where you have sitting tenants. If you wish to sell your property fast, without hassle then we would like to speak with you. It can be a tricky enough task to find a quick buyer for property, without the additional stress that may arise when additional issues with the building become apparent. Even the sale process for a property in absolutely impeccable condition can be imperilled by unsuccessful negotiations, snags with the paperwork, broken chains, or simple time wasting on the prospective buyer's part. It's the situation that everyone dreads when moving home... you've made an offer that has been accepted, the conveyancing process has gone without a hitch and you are finally handed the keys. However, very shortly after settling down in your new living room, you hear commotion next door - and soon realise that you have been landed with the neighbours from hell. The 2014 Budget from a housing market perspective. If you have a problem tenant who is making your profits fall through the floor, and your stress levels increase, you can get out of the situation quickly and sell a property with sitting tenants. Just come to us. We’ve heard all the horror stories of badly behaved renters, and we don’t mind taking on your situation. If you had a rental property portfolio that was only just bringing in revenue at the start of the recession, profits may have been reduced considerably, and to prevent further losses, you may want to sell a flat with sitting tenants. There are many possible reasons why a house becomes a problem property, but they all have a simple solution, which may be a fast house sale. As an executor, sorting through a property owners will can be a long and complicated process. If you are also an executor who stands to gain from the sale of property and you need money right now, you might wish for a fast house sale. The good news is that there is way you can get money from the property before receiving a grant of probate. Sell your property with sitting tenants. While the housing market is improving again in London, there are several parts of the country where prices are still sinking. If you’re in one of them, you might decide that you wish to sell your house fast. Otherwise, you could see your equity diminish. When the Bank of England raises its interest rate, a large number of house owners will find themselves in arrears. If you know of a property for sale at a discount, you can earn a commission by introducing it to us. Latest research suggests that death, debt, and divorce and the main reasons people end up selling a property for cash. There are two ways of selling a property. Through an estate agent or to a cash buyer. We examine the pros and cons of each. Richard Hill is founder of Dream house buyer. The benefits of selling property to a cash buyer. 11 scenarios that make a property unmortgageable. Here we review some of the reasons why property owners choose a fast sale of their property. Sell your property quickly without hassle, pay no fees and have a guarantee when planning. Sitting tenant buyers of property. We will buy any house regardless of the size, value or location. Wherever you live in England or Wales, we can help if you need to sell your property fast for cash. Selling a property to a cash buyer can provide a solution for those needing a quick sale. Benefits of selling a probate property for cash. No matter what the problem with a property, there's always a buyer. Selling an investment property with tenants is always tricky. Find out why, and how to solve the problem. The Autumn Statement 2013 announced changes in Capital Gains Tax allowances that may prompt some landlords to sell their property quickly for cash. Advice on how to sell your property fast for cash ... no viewings, no hassles, no worries ... just a cash lump sum in your bank account! We are cash buyers of leasehold property, and will make an immediate offer for flats with short leases. We buy single leasehold flats, portfolios and houses too. When a landlord comes to exit their portfolio, selling the entire portfolio in one hit for cash may be a more attractive option than breaking the portfolio up and selling piecemeal. Flats with short leases can be problematic to sell. Mainstream lenders are not keen on flats with leases of less than 70 years. That means that selling to a cash buyer might be an option. It's possible to sell your property quickly and without hassle. This blog explains how. In certain cases, mortgage lenders will not lend on a property, and that's when you might look to sell your property quickly to a cash buyer. Christmas is the worst time of year to sell a property, but it is still possible. We document a recent case study where we were able to complete on a property purchase in 4 days to avoid repossession. We compare the costs of selling your property for cash vs. selling through an estate agent. Cash buyers of property and why to chose one instead of an estate agent. The Channel 4 programme, "Dispatches - Undercover in the Property Market", exposed dirty tricks used by estate agents, and these are not always to the benefit of the seller. We reveal the circumstances when it makes sense to sell your property to a cash buyer. 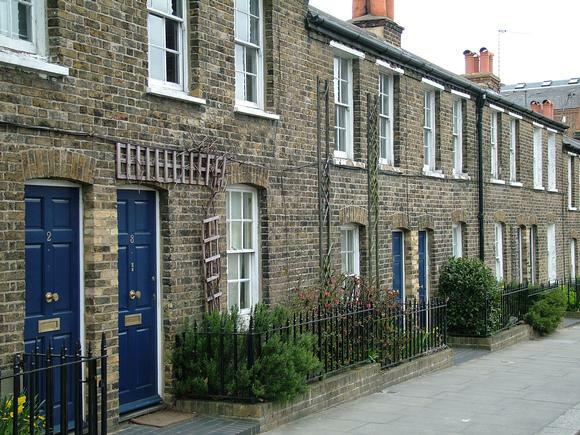 A new report claims that here has been a significant rise in the rate of house sales falling through. Between July and September it was just over 25 per cent, up from just under 20 per cent in the previous three months. What can you do if your house sale falls through? The content of this article might be a new concept to you, however hopefully it will enlighten you to the principle behind quick house sales. Selling a property with sitting tenants If you are considering a sale of your property, but you have sitting tenants, you may well be confused about where to start. Sitting tenants. Selling a property with sitting tenants can be a challenge. We explore why and what options are available. If your property is not in great condition or has problems, we explain how you could sell it without ever having had a single viewing. A property transaction can take anything from 48 hours to several months. We look at the reasons that may hold up a property sale, and explain how you can sell a property quickly. Dream House Buyer responds to the OFT investigation into "quick sale" house companies. We can offer you a fast sale of your property. We will make an offer for any property, regardless of it's value, size, location and condition.